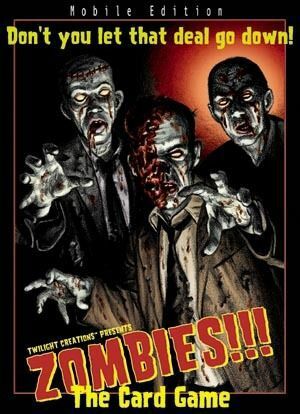 Zombies!!! The Card Game simulates the coming zombie apocalypse in card game form. Each player uses her own deck to form the narrative of her attempted escape; the ground-breaking card design allows for each card to be used for the card effect printed on the front or as a location as indicated by the card’s back. The first player to make her way to the “helipad” at the bottom of her deck escapes certain death and wins the game. The zombies are right behind you. Do you have what it takes to survive?